Dr. Constantinescu is lecturing on Developmental Anatomy including Teratology (1 credit hour), focusing on Organogenesis and Teratology. She is giving seven lectures on neuroanatomy, and is interested in emphasizing the “functional” anatomy of the central nervous system and autonomic nervous system. In July of 2005, Dr. Ileana Constantinescu was invited to be a member of the Editorial Board of the 2nd edition of the Nomina Embryologica Veterinaria. 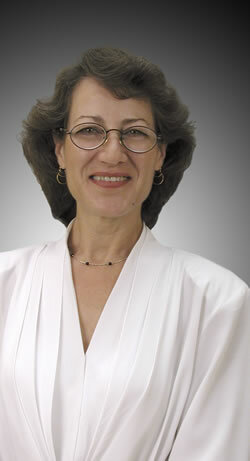 She is the only embryologist from the United States out of a total of 7 members. Constantinescu IA, Constantinescu GM. Clinical Dissection Guide for Large Animals: Horse and Large Ruminats. Iowa State Press, 2003. Constantinescu GM, Palicica R, Constantinescu IA. The vasculonervous interferences in the inguinal region of the sheep. Lucrarile sectiei de patologie ale simpozionului Ameliorarea, tehnologia de crestere si patologia rumegatoarelor, Cluj-Napoca, Romania, 186-190, 1981. Constantinescu GM, Nappert G, Ileana A. Constantinescu, Frappier BL, Miller RB. An anatomo-clinical review of the landmarks for physical examination and clinical approach in the thoracic limb of the large ruminants. I. Nerve block anesthesia, arthroscopy, arthrocentesis and intraarticular analgesia. CD of the XXI World Buiatrics Congress, Punta del Este Uruguay, 2000. Constantinescu GM, Constantinescu IA, Turk JR, Hahn AW. A comparative study between chordae tendineae of canine mitral and tricuspid valves. FASEB meeting, Orlando FL, March 31-April 4, 2001. Constantinescu GM, March ZJ, Constantinescu IA, Gottdenker J. Utilizing instructional technology in teaching veterinary anatomy. FASEB meeting, Orlando FL, March 31-April 4, 2001.